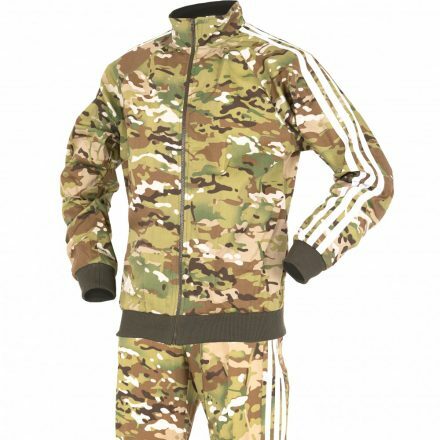 Russian-based Mordor Tac has manufactured what they call Gop-Tac Sportswear AKA the camouflaged track suit. Available in a variety of contemporary camouflage patterns, including MultiCam and A-TACS FG, this suit not only promises to allow the wearer “to be cheeki-breeki”, but is also made of high-quality PolyCotton fabric, and the white bands allow for the attachment of Velcro-backed patches. This entry was posted on Saturday, April 6th, 2019 at 02:03	and is filed under Camo, Clothing, International. You can follow any responses to this entry through the RSS 2.0 feed. Both comments and pings are currently closed.